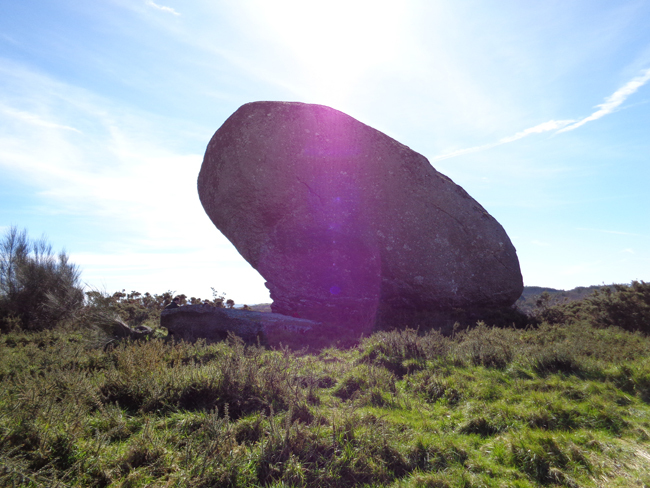 A huge oval shaped granite ball measuring 11,2 m. high, seated on a bed of gneiss in the form of a nest or craddle. This element has a great cultural dimension, since a rich folklore is associated with Galician´s beliefs. It has a formidable natural beauty. Situated very near the Megalithic monument of Forno dos Mouros.